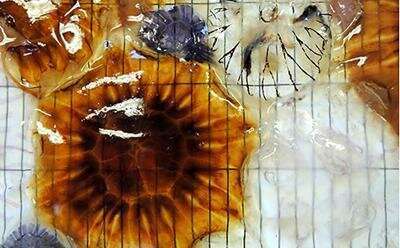 The Southampton based research team including Dr. Clive Trueman, Dr. Katie St. John Glew and Dr. Laura Graham, built maps of the chemical variations in jellyfish caught in an area of approximately 1 million km2 of the UK shelf seas. These chemical signals vary according to where the fish has been feeding due to differences in the marine environment's chemistry, biology and physical processes. Dr. Katie St john Glew explains "The chemical differences detected in the jellyfish are also present in other animals throughout the food chain, like seabirds, seals and fishes. This means that we can measure the same signals in, for example feathers from seabirds or fresh fish fillets, then match them back to the jellyfish map and work out where the birds have been feeding or where the fish was most likely caught." Dr. Trueman said "In our changing political climate, it is likely that the authorities will need new ways to manage our waters so it will be critical to have a better understanding our local marine environment and those animals that live within it. Being able to verify where seafood products have been caught may also become essential for protecting our fisheries and combating food fraud in a future with more borders, boundaries and regulations." This study is published in the journal Methods in Ecology and Evolution.